A lot of mainstream media folks and politicians had a lot to say about Edward Snowden, when he leaked top-secret National Security Agency (NSA) info last year about how much, and to what extent, information they were gathering about normal non-terrorist-y folks like you and I. The media and Obama administration (including Obama himself) had a lot to say about Snowden because they had a lot to distract normal non-terrorist-y folks like you and me from seeing; like, for example, 1.7 million Americans are on some kind of watch list, or that, for another example, high-level administrators lied to Congress, and to you and me, about the extent of NSA info-gathering. You can see clips of them lying in CitizenFour. And, you can still argue that the NSA is gathering all this info to protect non-terrorist-y folks like you and me from real terrorist-y folks, and/or that you don’t care, but that doesn’t change the fact that high-level government officials are lying, blatantly lying, and getting away with it. And that, well, gathering all that info is against the law, though this gathering has yet to be challenged in court, and may never be, thanks to the Obama admin’s much-more-aggressive-than-Bush-whistleblower-harassment. 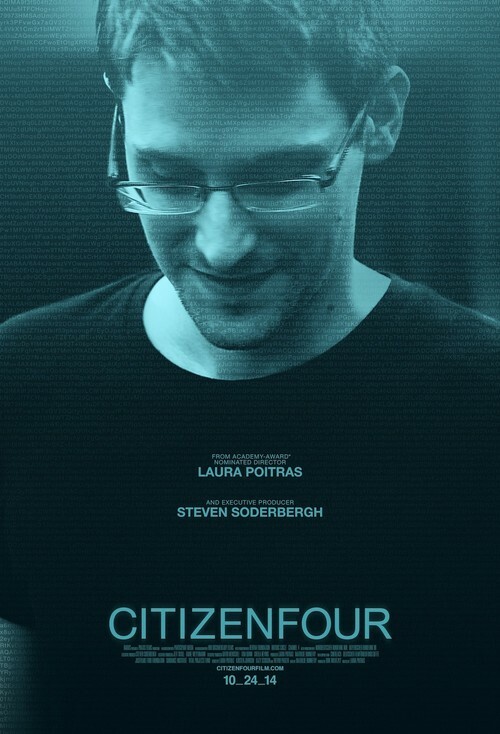 CitizenFour is actually the third movie in a trilogy of documentaries by director Laura Poitras about America post 9/11, and she assumes you know about the things that have been leaked (so far). Instead, this movie seems to be her reply to those who immediately moved to paint Snowden as a traitor. The middle two-thirds takes place mostly in Snowden’s hotel room in Hong Kong, where he gives journalist Glen Greenwald (formerly of Salon.com and Britain’s The Guardian at the time) NSA data, where we get to see Snowden as a person — a smart and seemingly sincere American who, at least at first, doesn’t want himself to be the focus of the story. He just wants Americans to know what their government is up to with their personal info. And, he’s prepared to sacrifice himself to do so. That plan changes towards the end of the movie. Or, maybe it was always Snowden’s plan to leave Hong Kong? That part is unclear in the movie — that is, do his conversations with Greenwald end up convincing him to not give himself up to American authorities (as it kinda sorta seems Snowden thought at first)? Or are there some other wheeling-and-dealings that take place off-camera? Because then suddenly the United Nations gets involved (which, wow! The UN going against the US? Wow!) and then Wikileaks folks get involved and Poitras (who filmed all of the Hong Kong footage) says she realizes she’s being followed, and so can’t go with Snowden as he walks out the door with a Chinese Human Rights lawyer, who — I mean, first of all, is this where we’re at? That American whistleblowers have to rely on Chinese human rights lawyers? Secondly, the plan to get Snowden out of Hong Kong seems so half-assed that I’m amazed it worked. If the Wall Street Journal can find out Snowden’s room number (as shown in one scene) why/how did the CIA not nab him? Fortunately, as we all know, they didn’t and Snowden ended up in Russia. Not his choice — by that time the US had revoked his passport. And there he remains. For now. 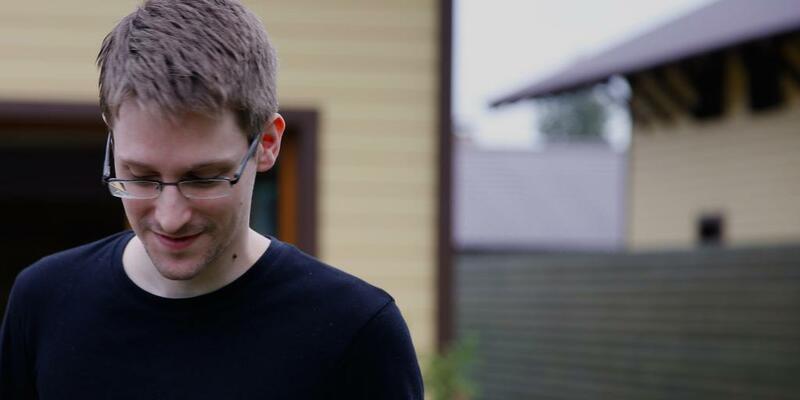 So yes, the bastions of freedom in CitizenFour are China and Russia. I’m kidding, sort of, but anyways, thanks for Poitras, and Snowden, folks like you and I can see—and I think this is really true—that Snowden has no ulterior motives. He’s not a spy. He’s not a traitor. He just wants us to know the truth about what the American government—our government—is doing, with the collaboration of mega-corporations. What’s wrong with truth? 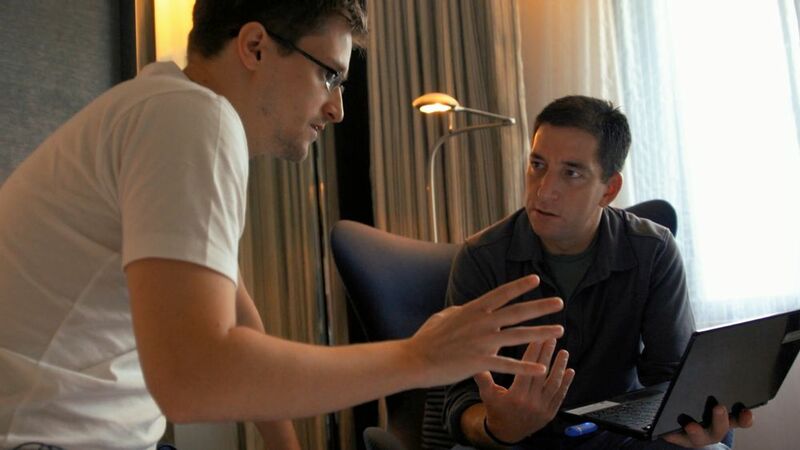 If you still don’t care, there is also footage of other speakers in CitizenFour explaining why you should. We also get to see a little of the fallout from Snowden’s allegations, including that a higher-level government official in the Obama administration, as yet unnamed, inspired by Snowden, is also willing to come out. So yes. Want to see something really scary? How about an American government that doesn’t value freedom of the press or free speech or not searching and seizing American citizen’s info. Those ideas may sound familiar: they’re in our Constitution.